It was very encouraging to follow reports of the events that were held in Rome this week marking the conclusion of the Year for Priests. 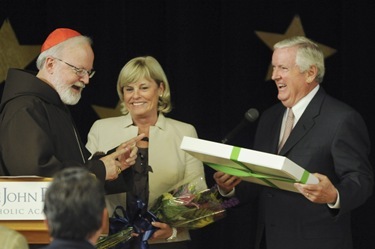 I was not able to attend this celebration due to a special meeting at the Catholic University of America, where I serve on the board. 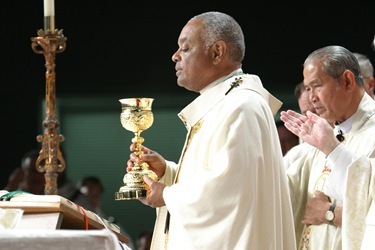 It was good to know that close to 15,000 priests from around the world gathered with our Holy Father, Pope Benedict XVI, to give thanks to God for the gift of the priesthood. In particular, the Holy Father’s remarks asking forgiveness for the sexual abuse of children by clergy were deeply moving. 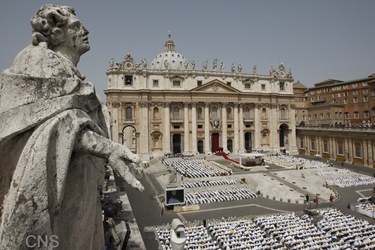 Pope Benedict made clear that he is fully committed that the Church will do all that is possible to insure that this tragedy is never repeated. We join the Holy Father in his prayerful efforts to promote healing and reconciliation for survivors, their families and loved ones and all the faithful. 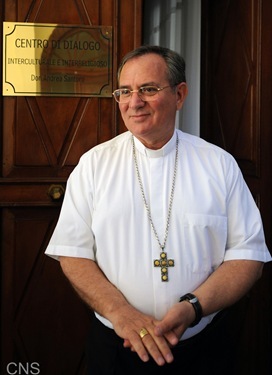 And, as I think of service to the Church, I would like to mention how saddened we are to learn of the death of our brother Bishop Luigi Padovese, the Apostolic Vicar of Anatolia, in Turkey. We pray his death will not be in vain, that the situation of the Church will be strengthened and Catholics will courageously live their faith. The Holy Father’s visit to Cyprus helped with the problem of the shrinking number of Catholics and Christians in the region. We were all very saddened by his death but realize that anyone serving the Church in such a high profile capacity in that part of the world is at risk. I am sure he served there gladly and lovingly because of his commitment to his vocation and his love for the Church. 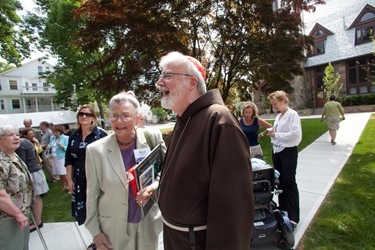 The Capuchins have an historic presence in that part of the world, as a number of the bishops and missionaries there are Capuchins from around the world. 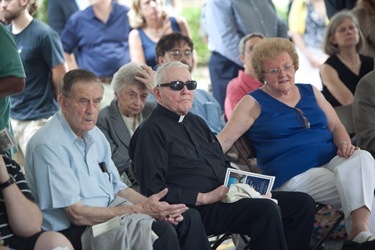 I knew Bishop Padovese personally, though not well. I had met with him and some other Capuchin bishops from the region. The Archbishop of Izmir in Turkey, Archbishop Ruggero Franceschini and the Apostolic Vicar of Arabia, Bishop Paul Hinder, are also Capuchins. 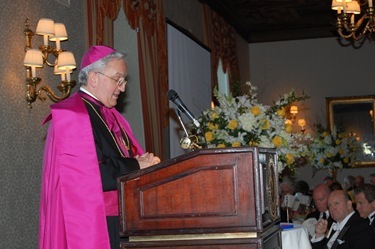 We extend our condolences to Bishop Padovese’s province, his community, and his family. 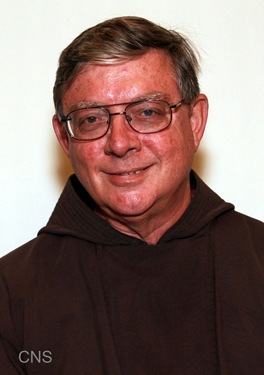 In happier news, I was pleased to learn that one of our Capuchin provincials, Father William Fey, has been named bishop of the Diocese of Kimbe in Papua New Guinea. Father Fey studied in the seminary with me and I can say he is an extraordinary man. He is a brilliant philosopher and theologian who taught at Oxford University for a time, but stepped away from the world of academia to become a missionary in one of the most challenging missions in the world, Papua New Guinea. 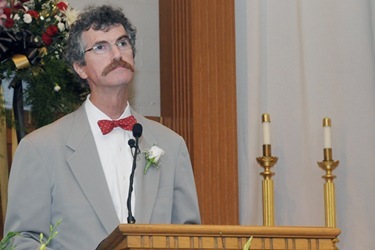 During his time there, he worked in parish ministry and trained priests in seminaries. He was a philosophy professor and later dean of the philosophy department at the Catholic Theological Institute in Bomana. 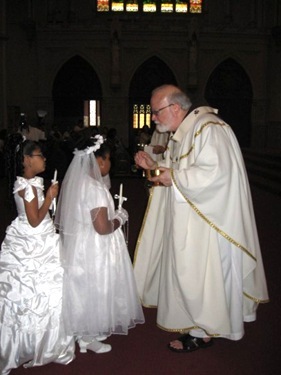 He became a Capuchin provincial in the Diocese of Mendi in 2007. He was an extraordinary provincial. I spoke with him yesterday to wish him well. He has asked me to go to Papua New Guinea to do the ordination. 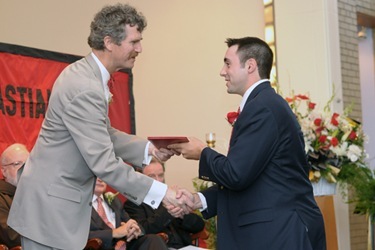 I am not sure if I will be able to, but we are certainly all very proud of him and supportive of his new ministry. Now, on to the events of my week. 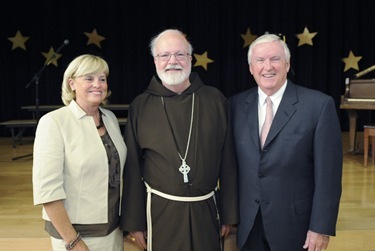 This past Wednesday, I attended an event for John Paul II Catholic Academy in Dorchester and Mattapan, where they honored Jack Connors and his wife, Eileen. 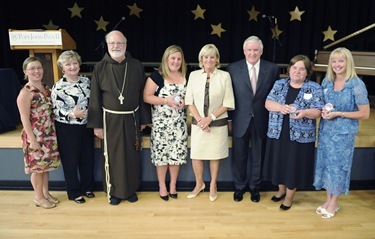 This year, the first Founders Award was given to the Connors in appreciation of all the work they did to make John Paul II Catholic Academy a reality. 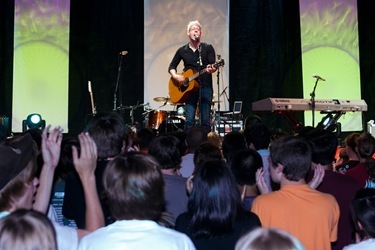 There are now 1,300 students there. 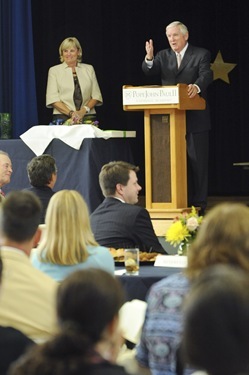 The improvements to the curriculum, the building, and the school itself have been such a blessing. 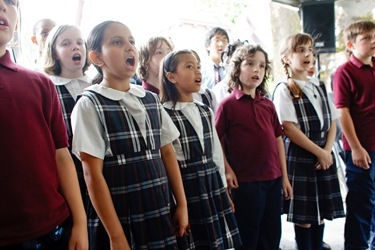 We were regaled by songs from the children. 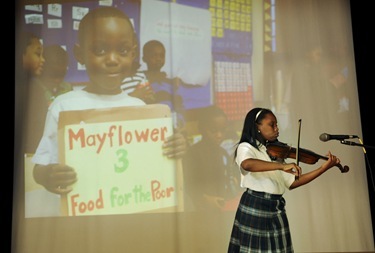 They also had 70 of their children who are learning the violin play for us. Two of their graduates addressed us, and gave very beautiful testimonies of the difference the school has made in their lives. 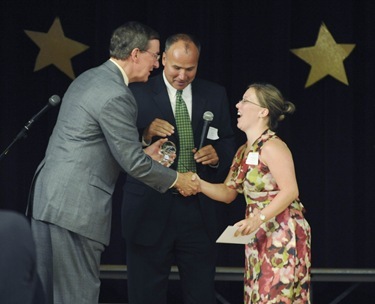 The Yawkey Foundation honored five teachers. They gave $5,000 to each of the five teachers. One of them has been teaching there for 40 years. They gave them a crystal baseball and an envelope. None of them knew they were going to be honored, it was a complete surprise. I told them you can lose, the baseball but don’t lose the envelope! 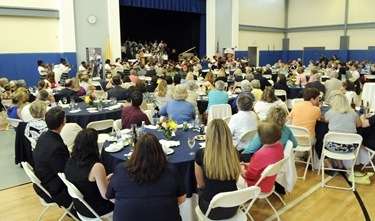 Last Thursday, I went to St. Bartholomew Church in Needham to participate in the commencement exercises of St. Sebastian’s School. 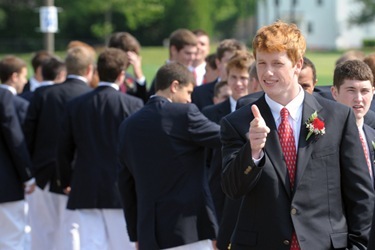 St. Sebastian’s is a great treasure for the archdiocese in training Catholic gentlemen —Catholic leaders for the future. 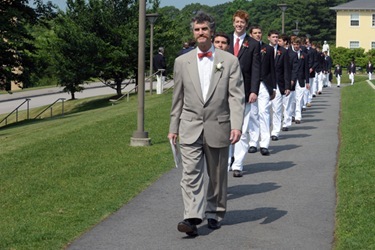 Headmaster Bill Burke has a very keen commitment to the spiritual and theological formation of his students. 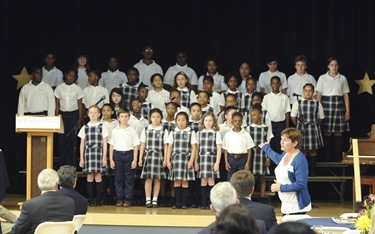 It is always a joy to be with them at St. Sebastian’s. 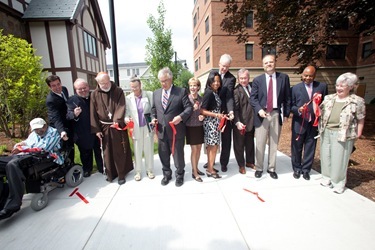 In the afternoon I attended a ribbon cutting in Brookline with Lisa Alberghini of the Archdiocesan Planning Office for Urban Affairs (POUA), officials from the Town of Brookline, Representative Frank, St. Mary’s Parish representatives, Rabbi William Hamilton and many supporters and friends to celebrate the successful completion of the St. Aidan housing development. 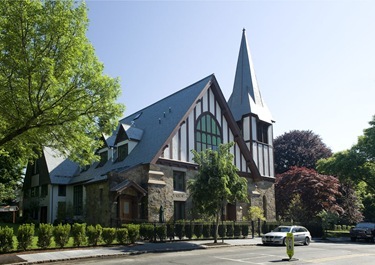 St. Aidan was developed on former parish property and is now home to 59 families in a wonderful new mixed-income residential community. The 59 units include 20 affordable rental units for lower income families, and 16 affordable homes for first-time homebuyers. 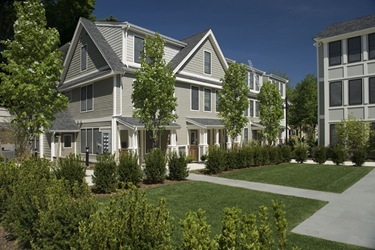 POUA, a social justice ministry of the Archdiocese of Boston, develops affordable and mixed-income housing where all people can live with dignity and respect in homes they can afford. 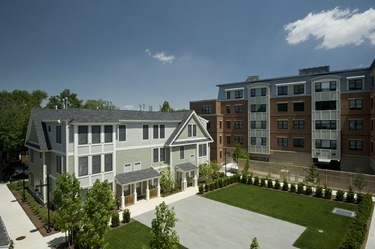 There were 500 applications for the lottery of the 20 affordable rental units, showing just how badly needed this type of housing is in Brookline. 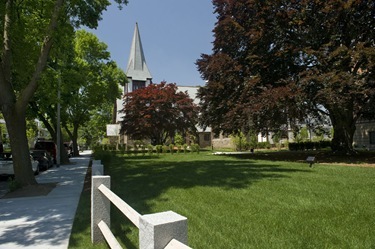 The development features three new buildings and preserved the historic Church structure where President John F. Kennedy was baptized, as well as a magnificent 150-year old Copper Beech tree that is a landmark in the neighborhood. 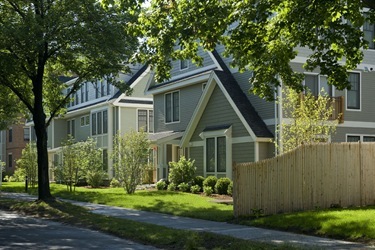 As you can see, the new residential community is beautiful. 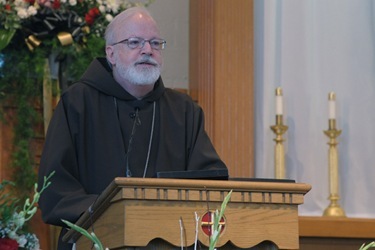 It is a testament to the legacy of the former parish and the vision of POUA, and it honors the faith of the community that worshipped at St. Aidan’s Church for many years. 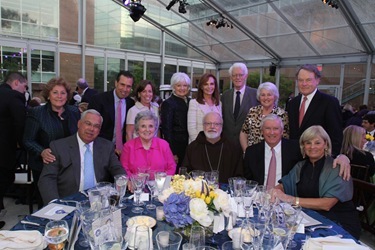 On Thursday evening, I attended a dinner to honor Sister Janet Eisner for her 30th anniversary as president of Emmanuel College. 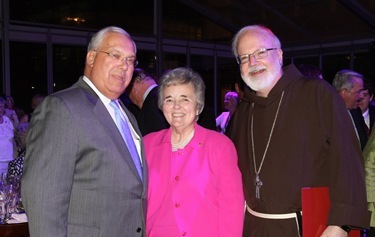 She has done an extraordinary job there turning around a difficult situation and giving leadership not only to Emmanuel but to the different colleges in the Fenway that came together in a consortium under her leadership. 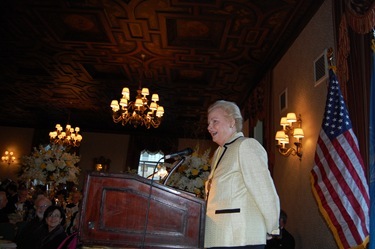 The evening was a beautiful tribute to her. 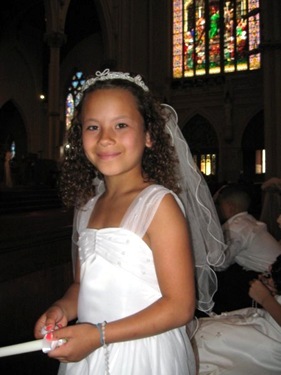 She is a joy-filled and a faith-filled witness to her vocation and the Church’s commitment to Catholic education. 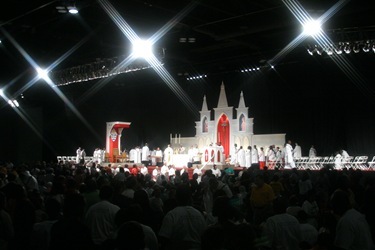 After that, I flew to Atlanta for their Eucharistic Congress. It was an extraordinary event. I was so impressed. There were 30,000 people there. They had been inviting me for years, and I finally was able to go and give one of the conferences. What amazed me was how many different immigrant groups were involved — Brazilians, Hispanics, Vietnamese, Haitians and Africans. 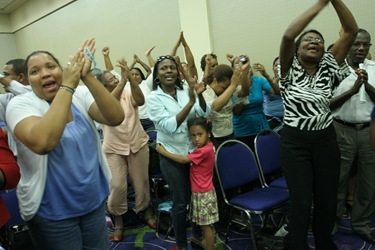 The Church in Atlanta has grown so much. 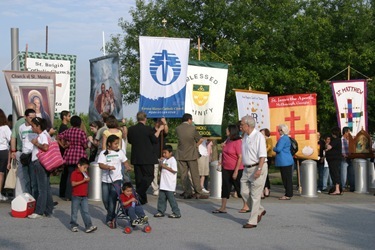 The Archdiocese of Atlanta has been putting on this conference for 15 years. 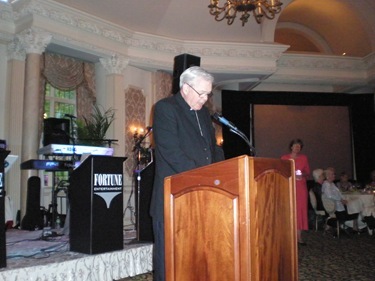 It was begun by Archbishop John Donoghue, who celebrated the 55th anniversary of his priesthood while I was there. I was very happy we were able to have dinner together. 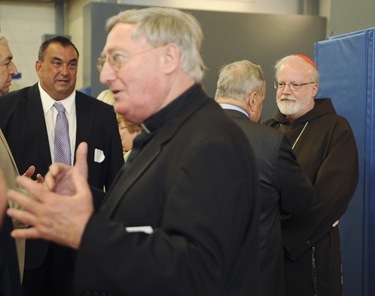 When I was a young priest in Washington, he was the vicar general and chancellor of our archdiocese. 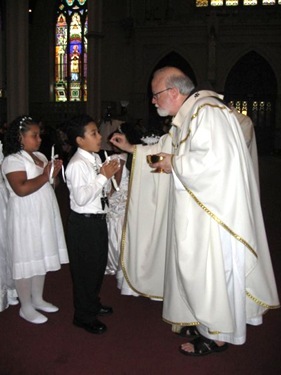 He was always very supportive of our ministry at the Centro Catholico, and always gave us a wonderful example of priestly ministry. 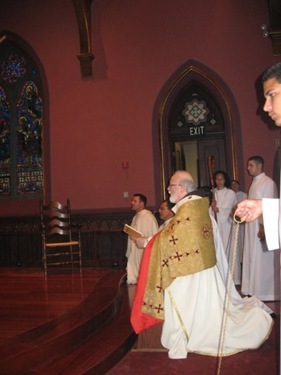 It was a joy to be able to celebrate his anniversary of priestly ordination. 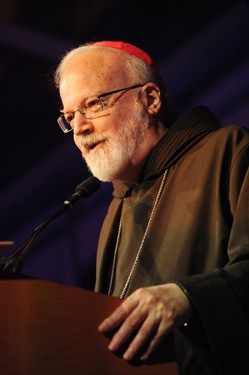 Ad multos annos to Archbishop Donoghue! 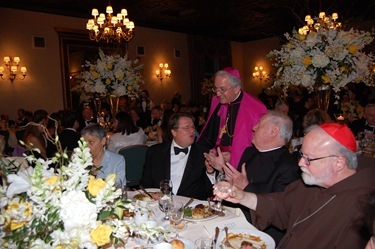 It was also a joy to be with Archbishop Wilton Gregory, who as our president, oversaw the bishops conference through a difficult period in our history. He has done an extraordinary job in Atlanta. 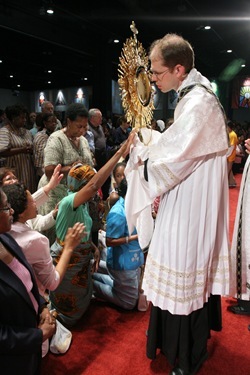 We congratulate him and all the other participants and organizers of this very successful Eucharistic Congress. 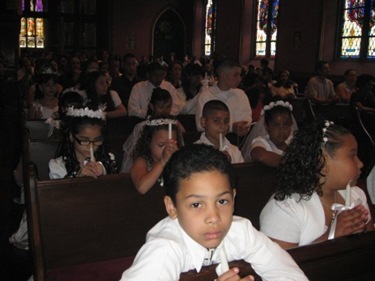 I was back in Boston Sunday for a Eucharistic procession to mark the Feast of Corpus Christi and for the first communion of our Hispanic children at the Cathedral. 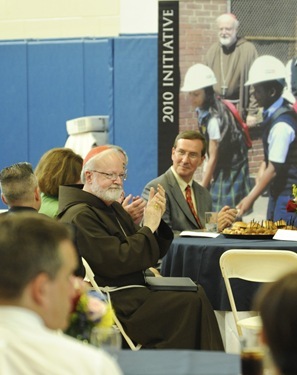 It is always wonderful to be with the Cathedral community and celebrate these milestones with them. 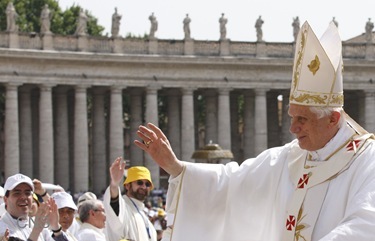 As I mentioned earlier, following the celebration at the cathedral my hope had been to be able to travel to Rome to be with the Holy Father for the closing of the Year for Priests. However, I was needed in Washington because the board of directors at Catholic University had to come together to select a new president. We are very pleased with the wonderful caliber of the candidates who applied for the position and we look forward to the announcement of the new president in the near future. 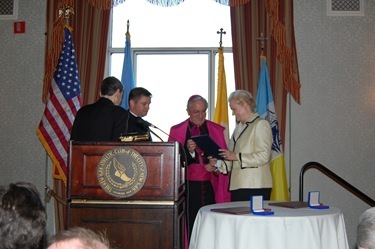 On Wednesday, I was very happy to be able to be in New York to honor former Ambassador to the Holy See Mary Ann Glendon, who received the Path to Peace Award. 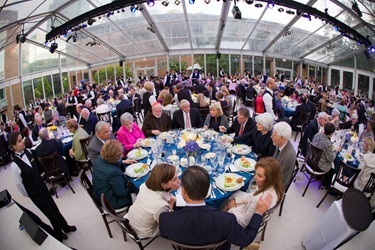 The Path to Peace Foundation, which presents the award, is part of the Mission of the Holy See to the United Nations and works on behalf of the Holy Father to promote world peace and justice by distributing information and hosting conferences, seminars, and lectures. Servitor Pacis (Servant of Peace) Awards were also given that night. 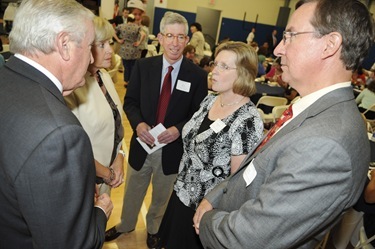 They went to Kevin Ryan, who is president of Covenant House, and Dr. Peter Kelly, who is president of the CRUDEM Foundation and works at the Sacre Coeur Hospital in Milot, Haiti. There was a very large turnout there. I was pleased to be there and very proud of Professor Glendon, who gave a beautiful address on the Church’s contribution to world peace. 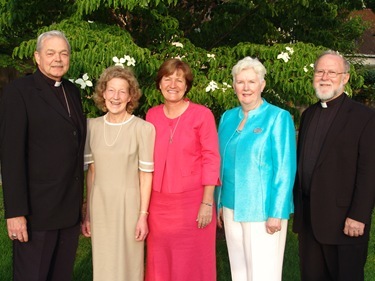 Finally, I want to congratulate John McNeice, Mary Ann McLaughlin, Patricia Dinneen, and Father Bill Williams, who received President’s Awards from Renew International for their commitment to the ARISE program here in the archdiocese. 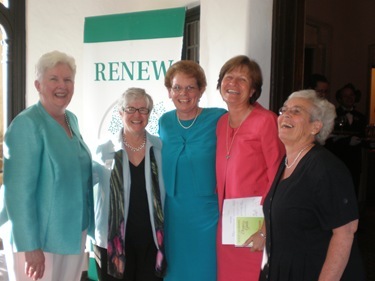 They were honored at a gala for Renew International in New Jersey. 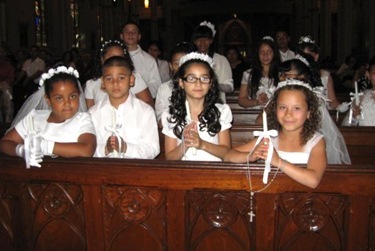 ARISE has been so successful in our parishes in building vibrant faith and service communities, increasing faith formation, and fostering greater participation in liturgies. 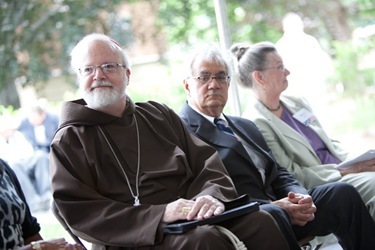 Many impressive projects have developed from this effort, thanks to the commitment of the ARISE groups within the parishes and the leadership of our Worship and Spiritual Life Office. I sent a letter to be read during the evening because I was unfortunately not able to be there. I want to also express my gratitude to Bishop John Dooher, our South Region bishop, for representing me and sharing the letter with the people there.